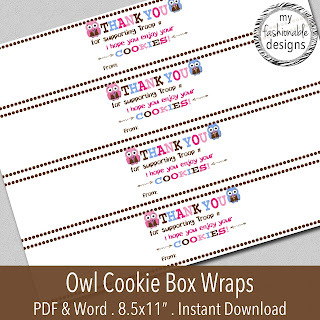 My Fashionable Designs: New in my shop: Owl Cookie Box Wraps + Coupon Code! 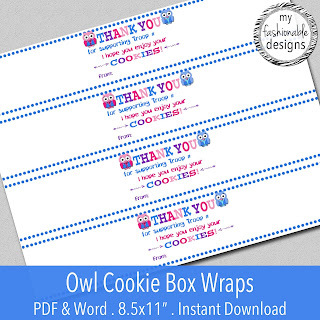 New in my shop: Owl Cookie Box Wraps + Coupon Code! 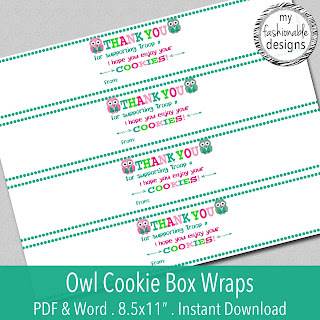 New in my shop: Printable Owl Cookie Box Wraps! Currently I have three vest colors- blue, brown, and green. (Please visit my shop and send me a message if you need tan! I don't usually get a ton of sales for the older level items, so I only create them as needed!) Use coupon code COOKIES for $2.00 off!! 📷I'd love to see your pictures of my designs in action! Tag me @myfashionabledesigns or #myfashionabledesigns on Instagram!